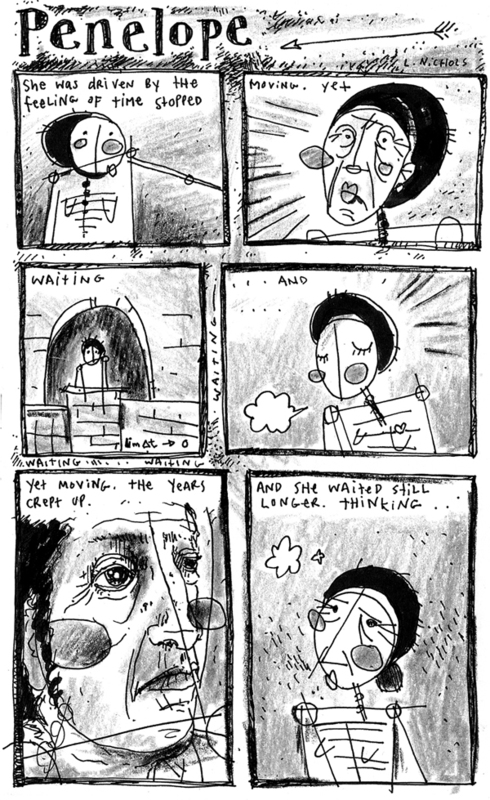 I first came across L Nichols work via her comic for Retrofit: Flocks. To date, Flocks is one of the most powerful works I’ve read, and one which, to be perfectly honest, I’d most likely avoid on paper. It charts Nichols’ own experiences of growing up in a Christian household and community and realising she’s gay and her subsequent struggle to reconcile her faith with her sexuality. It’s remarkable in that it avoids judgement and preachiness and in her handling of what are generally perceived as extremely sensitive subjects. That first issue was very much a stark awakening, with Nichols trying to quash and ‘cure’ who she is, conflicted and tortured, and fearful of discovery. The second issue marked a change in tone: having found more of an acceptance and determination within herself: ‘I have always known who I wanted to be’ she reiterates, angrier now, but the pendulum still swings between wanting to be discovered, to be seen, to being afraid of found out. It’s a searingly honest piece of work, and an indictment of the ‘flocks’ of passive communities whose silent participation cultivates such cultures. 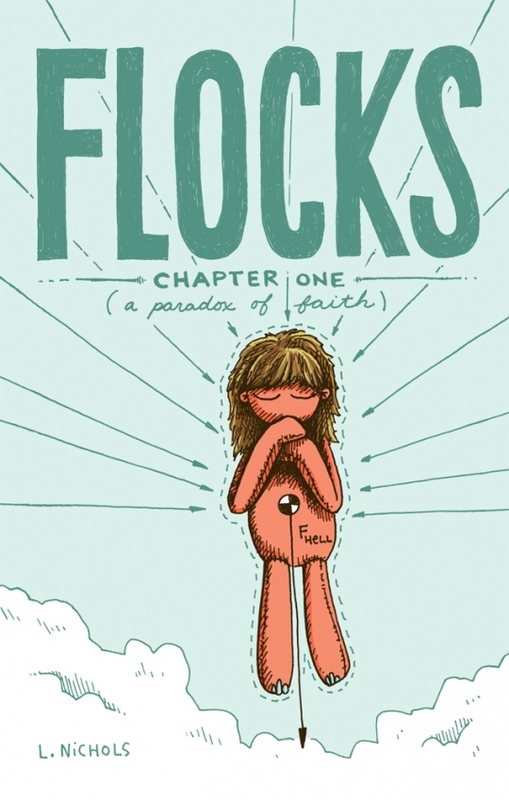 Flocks has struck a chord on a more commercial level too; Retrofit sold out of copies, and Nichols tells me she’s down to her last 10, with a second printing on the way (you can still get a copy here if you’re quick). First and foremost: why comics? What led or inspired you down this path after a background in engineering and science? I’ve been asking myself that question a lot lately. I never read many comics as a kid, just the occasional ones in the newspaper. I started drawing because my brother did. He is 11 years older than me, and I loved looking at his work. I kept drawing because I loved cartoons, animated things. I also drew a lot of maps and different fantasy characters on the pretense of “writing.” Really, I just liked drawing & the narrative aspect of it kept me interested. I didn’t start drawing comics until I was a freshman in college. And it wasn’t until several years later that I started drawing comics (actually, even drawing at all) more consistently. I drew during class. I drew as a way to manage my stress. That eventually just turned into what I currently do. There is a really nice juxtaposition of words and images you can get in comics. Parallel information streams. You can be abstract or more literal. It allows for a wide range of expression, basically. And, like I said earlier, the narrative aspect of things is what has always kept me interested in drawing. Although, over the years my idea of what “narrative” means has certainly changed. One thing that particularly struck me about Flocks was the portrayal of the church- it wasn’t really negative, which I imagine could be an easy hole to fall into, but more a little sad and perhaps confused. How did it feel to transfer those experiences onto paper; was there a conscious decision to present an even view, or to be simply reflective? Oh my goodness, terrifying. Painful to think about some of the things in such detail, trying to remember how I felt. But it’s been good for me, I think. I realize how much I’ve grown. It definitely was and is a conscious decision. 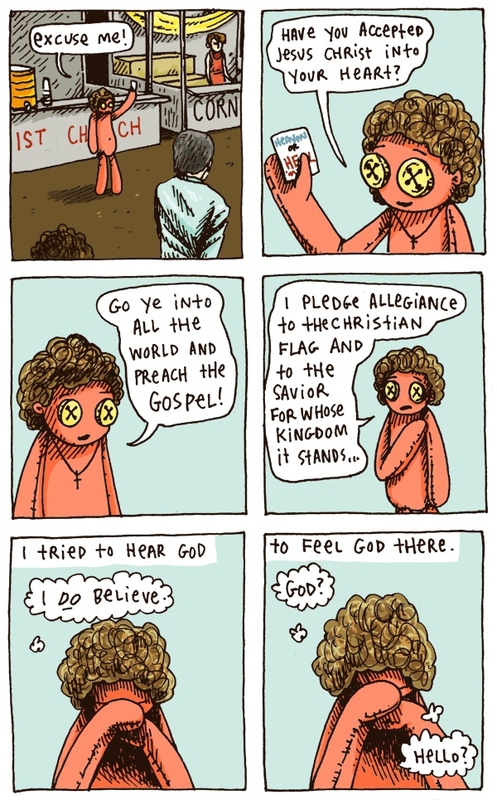 It’s so easy to portray churches, particularly the kind I grew up around, as these one-sided things. There are a lot of knee-jerk reactions on all sides of this. But the reality is much more complex. I really wanted to show the complexity, to make it a little clearer why this struggle would be there, why people would care so much. And I want to show some of the good things churches can provide, too. Life isn’t black and white; the struggles & growth are in the gray areas. In Flocks it works to highlight the difference and alienation you’re feeling, but you use the articulated doll persona pretty often in your comics. Is there a specific thinking behind that? The articulated doll came about while I was living in England for a year while I was in college. It was a drawing that kept reappearing and I soon realized that I was giving it my piercings and my expressions, exploring my feelings through it. I think that the whole feeling of alienation was definitely behind it, then and now. I really appreciate that the form provides limits to work within. I am a fan of having boundaries to explore. And I think that there’s a certain amount of making a character so simple that makes it relateable for the reader. Yes, it’s me, but it’s easy to project yourself onto it. 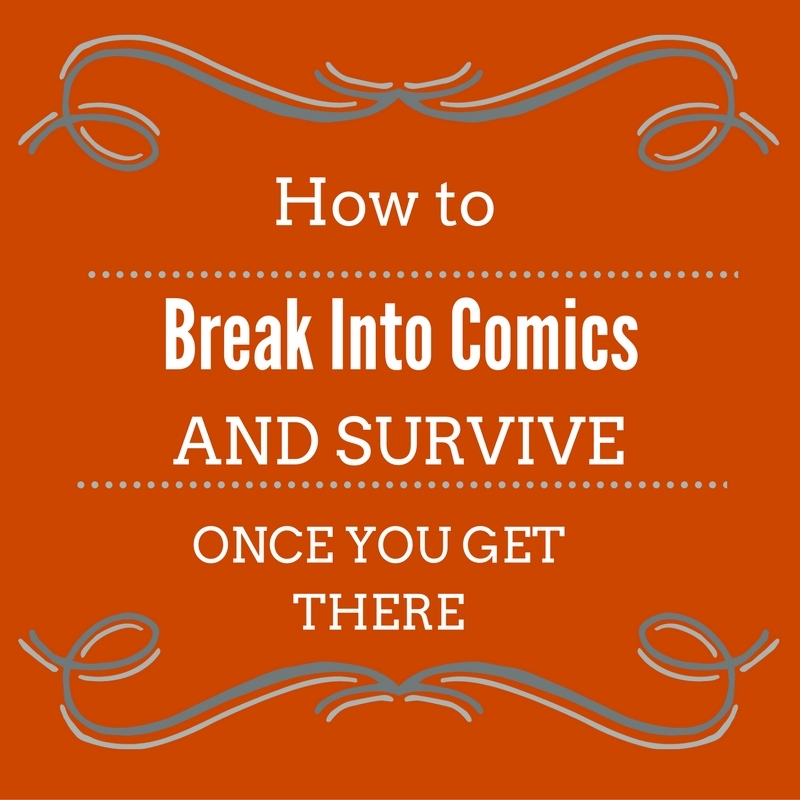 The auto-bio genre is one strongly associated with small press and independent comics. What is it about auto-bi that led you to choose it as your narrative lens? My first comics were auto-bio because I wanted a way to practice working with comics without having to also worry about writing something completely new. Comics have so much going on that if you try to tackle everything at once, it can be intimidating. Plus, it was a way for me to deal with the stress of college. Auto-bio eventually led to me writing and exploring more fictional things. It was a safe place for me to start exploring. I find that I have mostly been focusing on myself and my feelings as a way to avoid hurting people. I guess this is sort of like my writing version of “I statements” (http://en.wikipedia.org/wiki/I-message). I felt this way. I experienced this. I remember this. I leave out things if I think they will unnecessarily hurt someone. Not everything needs to be talked about. And I try to acknowledge my own bias. Everyone remembers things differently. Everyone has different perspectives. 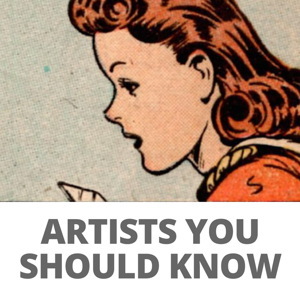 You draw comics in a wide variety of styles. I think it’s fair to say that most comic creators tend to stick with one. Is that to keep yourself fresh and pushing your growth as an artist or in keeping with the subject or tone of the piece, or something else? To quote Fiona Apple “But I’m good at being uncomfortable so I can’t stop changing all the time.” Changing, challenging myself to try something uncomfortable, is one of my deepest drives. Honestly, I think that it is a blessing as much as a curse. It takes 10 times the work for people to start being able to see what you’re doing if you’re always doing different things. Once there’s a critical mass of it, it starts to make sense, but it takes a while to get there. So other than the fact that it’s just my nature to always change, there’s a large amount of me trying to fit the artistic style with what I want to convey. I think of it as a design project – what is the right solution for this problem? I explore options. I try to find what works and what doesn’t. Then I iterate and try to evolve. Have you found people ever react differently to you and/or your work once they learn you’re a practicing Christian? People seem mostly surprised and maybe a little confused, but only for a little bit. The way I see it, it’s just a piece of my larger self, the same way I feel about being an artist or being queer. I would hope that people consider the whole and question their assumptions. I don’t know that they respond to my work differently. Maybe they do and I just don’t notice. When you create, you have to let go. You can’t be there when every single eye sees what you’ve created. I create with this in mind. I feel like it’s successful if it made someone think, regardless of whether their thoughts are in line with mine. Something I’ve been thinking about recently is the idea that being a member of a minority -racial/religious/sexual- somehow makes you an authoritative representative/spokesperson for said minority. And I guess by asking this question I’m lending to it, but what’s your stance on that issue? Is it better for people to have an informed opinion, despite us all being individual with our own experiences and perspectives? Honestly, I really hate that! I am an artist who is also queer, not a queer artist. I only sometimes make queer comics. Even comics are only a small fraction of what I do. And thinking about queerness is, like, <0.1% of my life. But, then again, I realize that I am in a situation where I am lucky that is the case. NYC is very accepting of me and my relationship. My marriage is recognized in my state. The more I recognize what I have, recognize what other people fight for, the more I realize that it’s important to fight for these things. So, I fight against my initial dislike of answering these questions. If I feel like something I can say will potentially help people out, I do my best to answer honestly and patiently, despite not always liking it. There is a lot at stake, and it’s worth some personal discomfort to stand up for something you believe in. Even getting one person to question their feelings and assumptions is worth the time. I try to take people at their intentions and act with compassion and understanding. Inclusiveness is something I always worry about when I’m creating! Living in NYC, I see all sorts of people around, and I do try to include all I see, but I know that there are things I don’t know as much about. And I’d rather not insult people accidentally. But, then, I do actually think about these things. You know, my friend Darryl Ayo is a great person to ask these questions. Talking with him has really made me think about a lot of different things that I might not otherwise have considered. And I think the more we can talk about different perspectives, the more we can understand and include people. At least, I hope. I love your gardening comics: they’re so uplifting; would you ever make that into a more structured thing: I think you’d be great at making a how to guide on growing particular plants and veg and cooking them. Yeah! I put together a collection of the gardening comics last year. 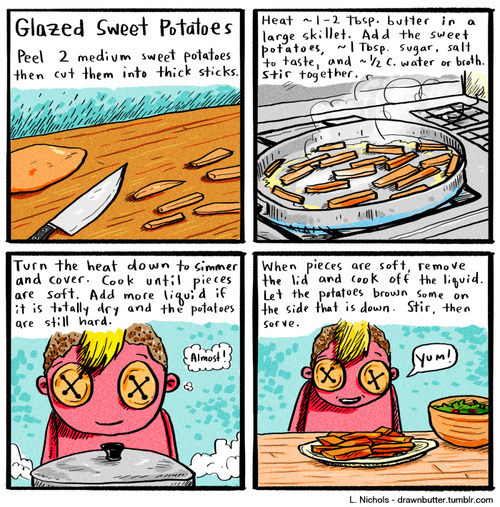 I had the comics already created and was like “why not?” I’ve done food comics for a while on Tumblr. And, actually, those food comics sprang out of the gardening comics. So I would definitely consider doing a more structured thing. It’s something I genuinely enjoy. As one of my side side side projects, I’ve been putting together a collection of cocktail comics, too. I feel like maybe once I’m taking a break from Flocks I’ll spend some time back doing that. They’re very refreshing to draw. Like a comics vacation… a working vacation. You’ve been self-publishing a while, currently as Grindstone Comics. There’s now more micro publishers than ever before, and I was wondering how that experience has been for you and whether there’s been any significant changes you’ve seen over the years. It’s really exciting for me to see people grow and expand. I find it very inspiring to see my friends taking things to new levels, publishing things, pushing what they do. It only makes me more excited when I think about where they’ll be in ten years. I can only hope that anything I do provides that same excitement for someone else. Whose work do you find interesting in comics right now? Jose-Luis Olivares’s “Pansy Boy”, Jason Overby, Simon Moreton, Lale Westvind, Karneeleus on Tumblr, Kevin Czap, Derik Badman, Sally Madden, Brendan Leach, Aaron Cockle, Evan Dahm, Aidan Koch, Katie Skelly and Liz Suburbia. I know you’re still working on Flocks, but do you have your next project in mind, or will it be time for a break before you decide? 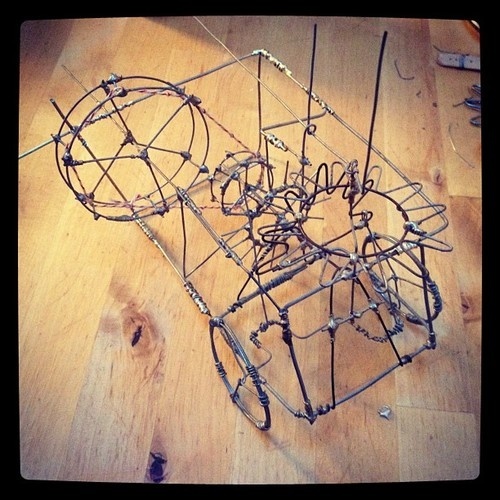 I want to work on some larger kinetic sculptures. I also want to work on a series of books about mechanical design, breaking machines down into their components and trying to introduce people to the basic concepts behind how simple and more complex machines work. What would you like to see more of in comics? 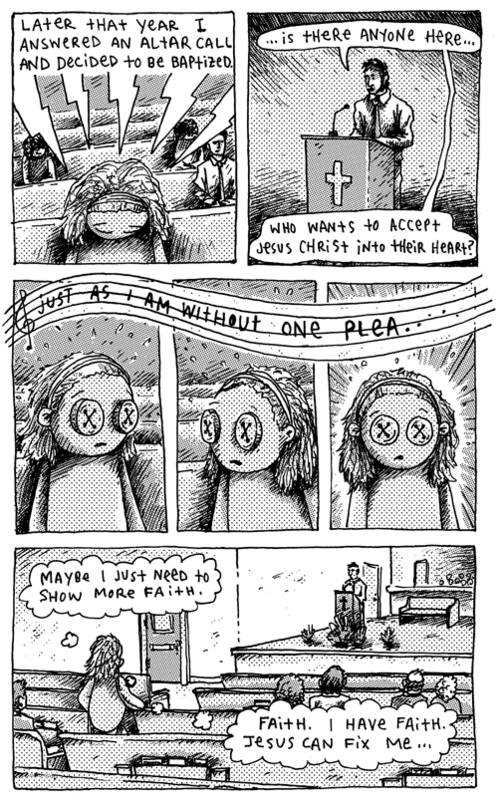 I would like to see the realm of poetry comics grow. 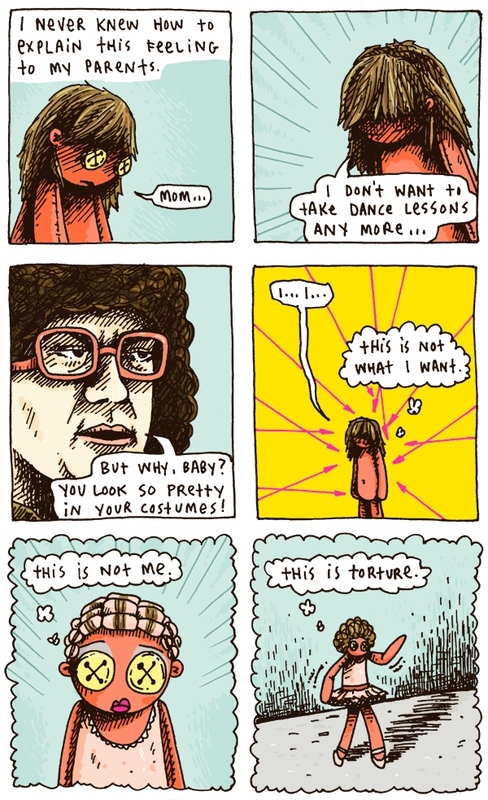 And I would like to see some comics that interact with fine art a little more directly. Part of what I want to do via Grindstone is promote both of these areas. Favourite comic character and why? I really have no clue! It seems like a lot of the comics I read don’t have characters. 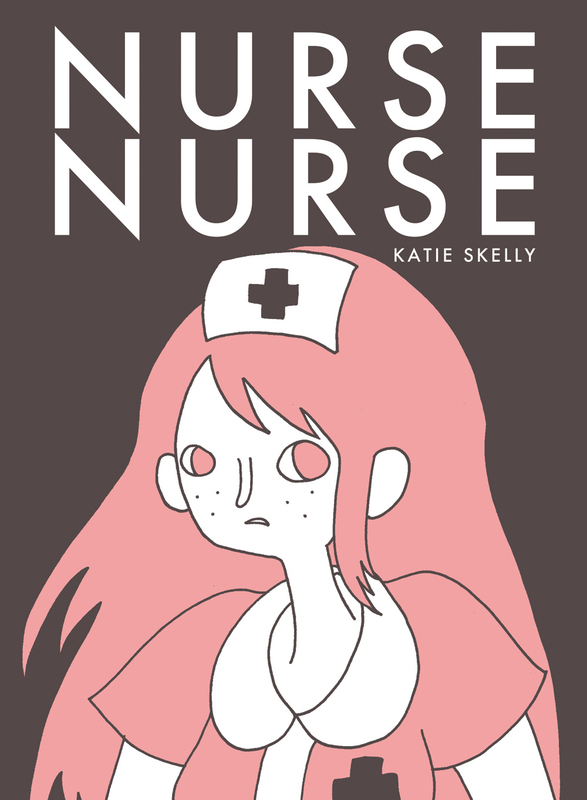 Maybe Nurse Gemma from Nurse Nurse? Maybe someone from Evan Dahm’s work? A huge thank you to L for her time and patience in doing this interview.